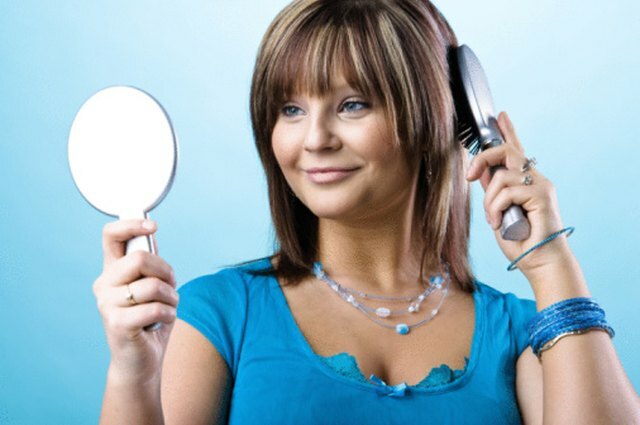 Avoid frequent trips to the hairstylist by learning how to trim and thin out your own bangs. Equipped with the proper cutting shears, anyone can create a clean textured look, while not affecting their current hairstyle. Gather the necessary materials to trim and thin the bags. Purchase a set of shearing scissors, as well as, thinning shears. Using the proper tools will avoid damage to the hair or incorrect cuts. Stand in front of a well-lit mirror with few distractions. Style the hair as it is worn daily, pulling all but the bangs away from the face. 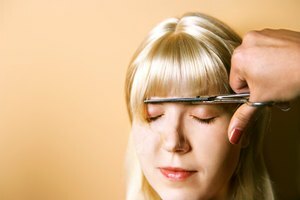 Separating the bangs from the rest of the hair will ensure that only the bangs are cut. Do not wet the hair. Wet hair wears longer and may result in a shorter length than desired. Pull the bangs in front of the face, holding the scissors upwards, perpendicular to the hair. Cut into the bags rather than straight across, resulting in a natural, blended appearance. Trim in short segments only cutting a small amount at a time. 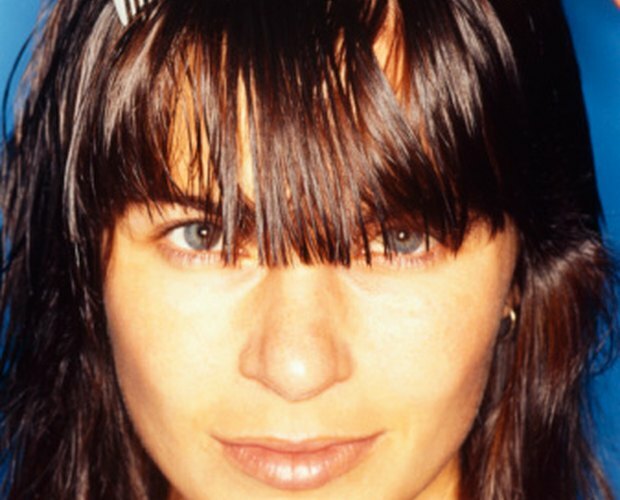 Check the styled look frequently while cutting, ensuring that the bangs are not overcut. Thin the bangs with the use of the thinning shears, similar to regular scissors but with toothed edges to eliminate the bulk of thick hair. Divide the hair into small sections. 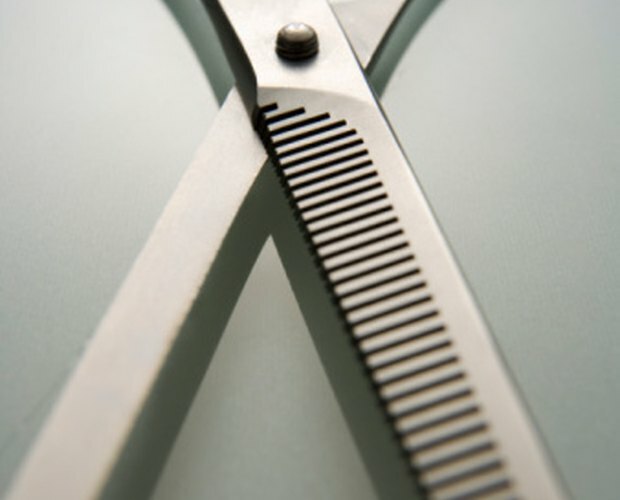 Move the shears along the middle of the section, halfway between the scalp and the ends of the hair. Snip in small sections, completing this action among the different pieces. Complete a thinner appearance with a textured layered look by repeating this action 1/3 of the way from the end of the tip of hair. Do not overdo the thinning. Stop cutting the bangs when satisfied with the look. Style the hair with the new fringe, checking for any missed pieces. Make sure that the fresh bang cut fits and blends well with the hairstyle. Meghan Cronen began writing professionally in 2008. She began her career as an intern for "Charleston" magazine in South Carolina and currently is a copywriter for a members-only retail website. Cronen holds a bachelor of Science in marketing from Elon University.